Look out San Diego, Cade and Duncan are cleared for takeoff! These two young boys are flying high in their new big boy bedroom, complete with their own Blue Angels shirts, flags, videos and more! 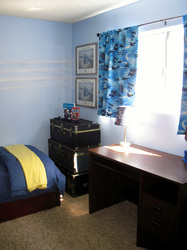 Thank you to the amazing military families who worked as a unit to help us make this room come to life. 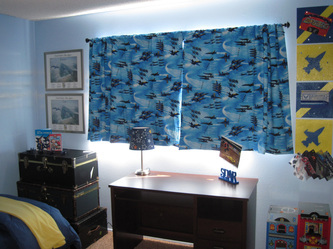 We had Moms and Dads across the country calling each other and gathering items to make this room special and personalized for Cade and Duncan. 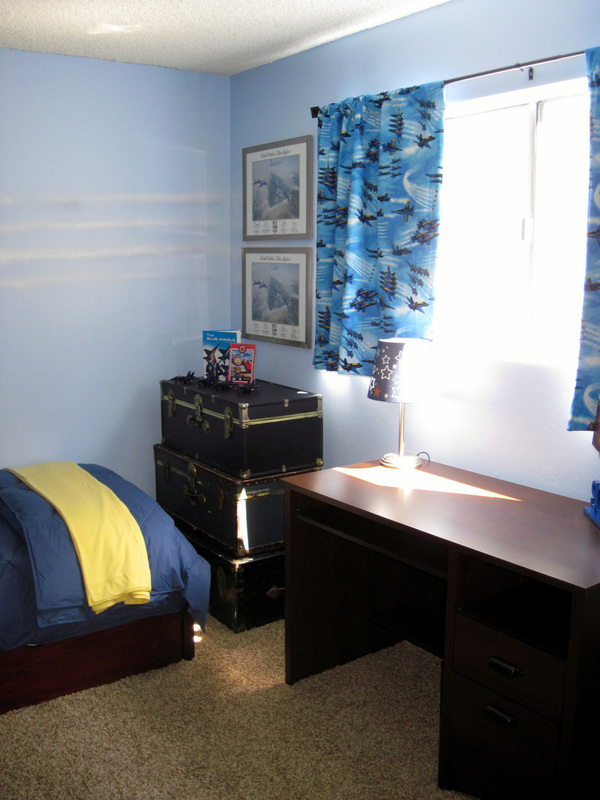 The boys' Mom served in the Navy and it meant a lot to see how the community came out to support this room makeover! 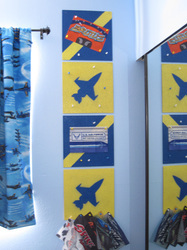 Upon entering their room both Cade and Duncan immediately found the toy planes and began to zoom around the room. 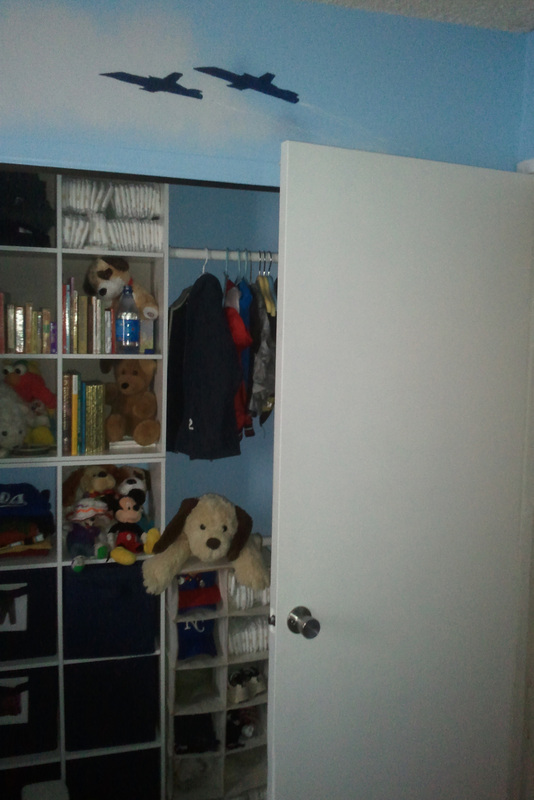 There is no better gift than to see the joy on a child's face when they enter their new space. I think we can safely say they LOVE it! 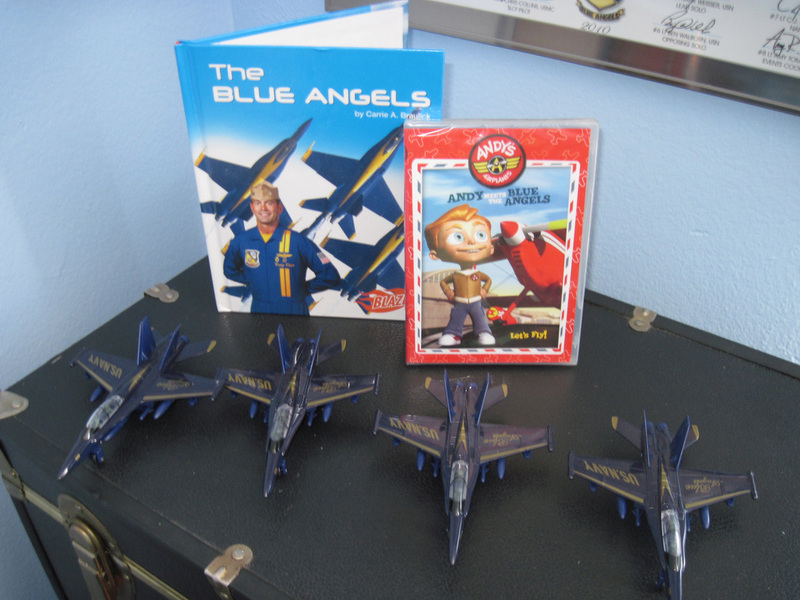 A few hours after the makeover we heard that Mom and Dad were enjoying some well deserved time for themselves as the boys were still happily playing in their new space and eager to watch their new Blue Angels DVD! Cade and Duncan are just typical little boys with a few extra special needs. Cade was diagnosed with classic autism as a toddler and Duncan is receiving early intervention services to help him reach his developmental milestones. Autism is a complex developmental disability that causes problems with social interaction and communication. Symptoms usually start before age three and can cause delays or problems in many different skills that develop from infancy to adulthood. 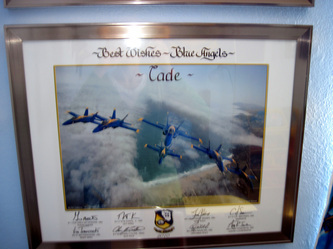 While there is no cure for autism, nor is there one single treatment for autism spectrum disorders, Cade's parents work hard to help Cade and Duncan's parents are devoted to ensuring that both children maximize their learning and achieve their full potential. When we all come together we can really make a difference. We'd like to recognize all of the contributions that built this room - piece by piece! 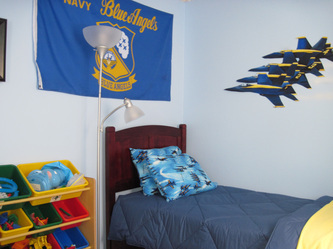 A special thank you to Major Chris Collins and his family for the beautiful, hypo allergenic comforters and yellow t-shirt material sheets for the boys to match the planes, and for coordinating all of the Marine and Navy families! 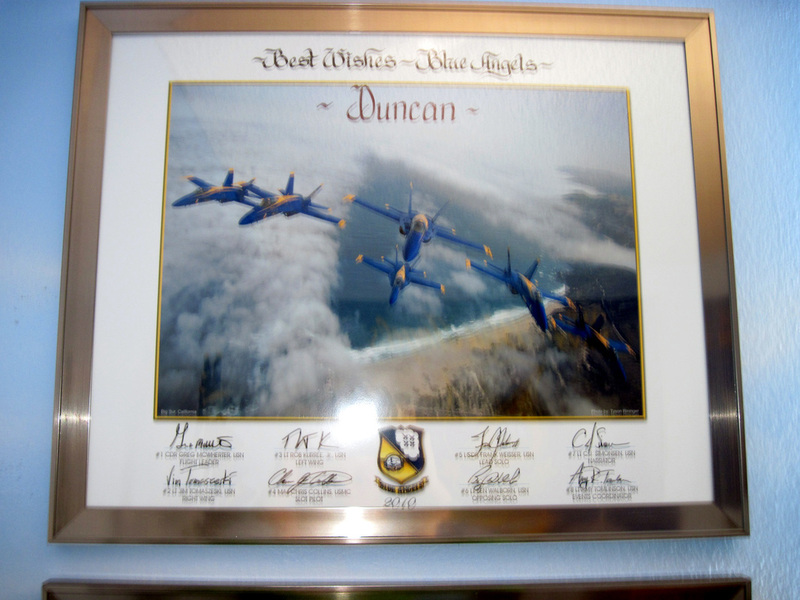 The military kicked in two personalized, signed photos of the jets for the boys and a Blue Angels flag. 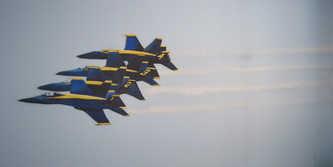 One of the wives of a Blue Angels sent a dvd called, " Andy Meets the Blue Angels", as she has a nephew with Autism and he watches it over and over. 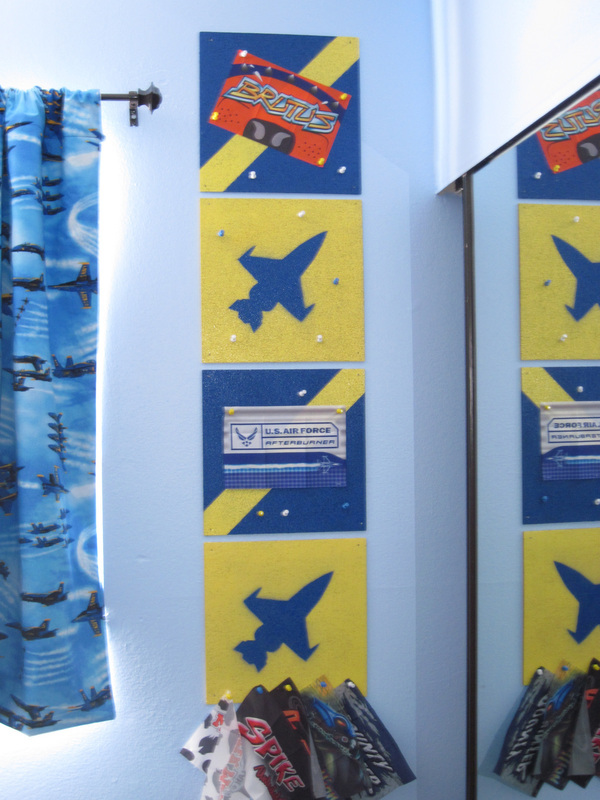 Another family bought several Blue Angels toy planes and have sent out pillow cases to be personalized with the jets and their names. Each boy will also receive a Blue Angel shirt and little Duncan will receive a Blue Angels bear. Thank you for working so hard to make such a special place for these loving boys. And a big thank you to our star, Emily Dolton, who pulled this room together and orchestrated the entire project! 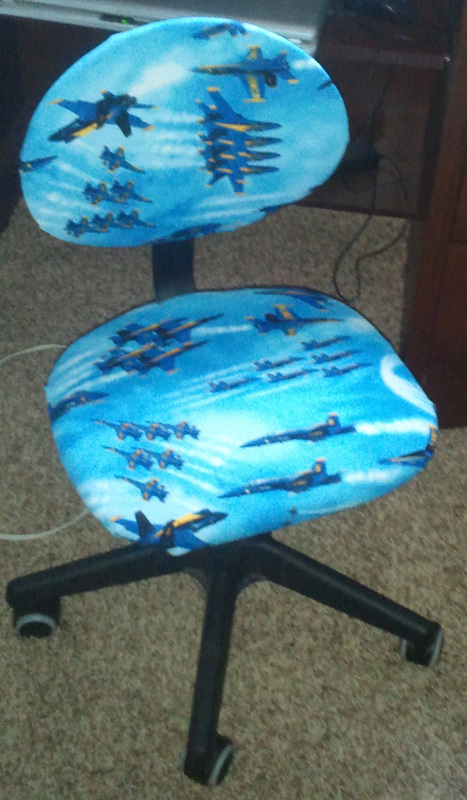 From sewing the curtains to painting the Blue Angels art, overseeing the labor and teaching me how to use power tools (oh yes! ), she made the room zoom to life! 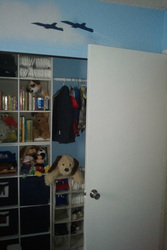 I only wish I was a better photographer because I don't feel the pictures captured the essence and details of the room! 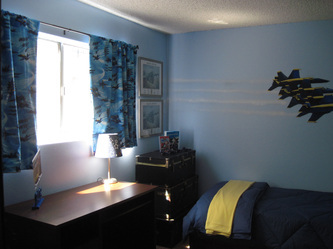 And another big thank you to PaintGreen who delivered another perfect paint job AND helped us with a few extra surprises that this room presented us with! And last but not least, thank you to my Dad for always being our chief engineer and all around go-to guy. 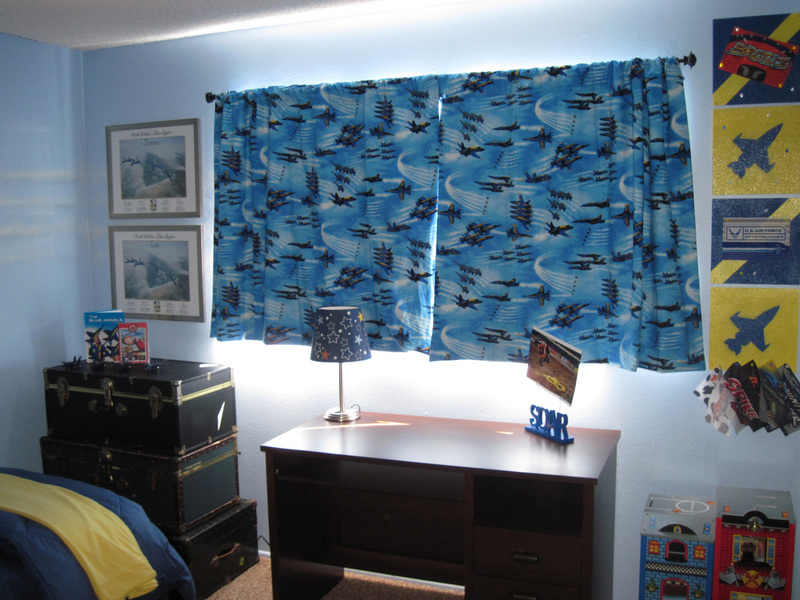 We feel very lucky to be able to make Cade and Duncan's "Sweet Dreams" makeover come true!